Mark James, whose name appears in the writers credits, also wrote "It's Only Love," "Moody Blue" and "Suspicious Minds." Elvis's version was coupled on a single with "Separate Ways." 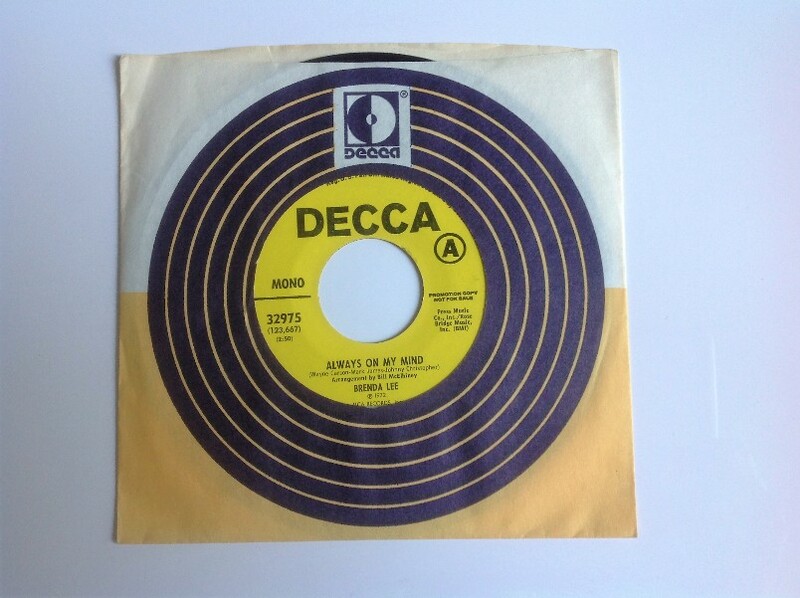 Brenda Lee recorded her version of "Always On My Mind" 6 months before Elvis, on 22 September 1971 (it was not released until June 1972) and this is generally considered to be the original. However, in 1969 or 1970, B.J. Thomas recorded the number in the American Studios in Memphis. This version did not surface for over 25 years, when it appeared for the first time on the album "B.J. Thomas Golden Classics: 22 Classic Tracks" (CD-Masters Intercontinental #4005), which was released in August 1996. After an inauspicious start in the music business as part of the group Triumph, B.J. Thomas went solo and had an immediate hit with his 1966 recording of the Hank Williams song "I'm So Lonesome I Could Cry." However, he failed to score again in the charts until 1968, when he enjoyed huge success with Bacharach and David's "Raindrops Keep Fallin' On My Head." He continued to have hits with various record labels, mainly in the country charts, until well into the 1980s. Unfortunately, I am unable to find anything to support the claim that Thomas recorded the number first: it is not even mentioned in the definitive book on the American Studios, Roben Jones's "Memphis Boys: The Story of American Studios."